If you have a small business competing with the big boys in your niche can be difficult. There are, however, a few ways that you can use modern technology to help you to compete. Armed with a tablet or even your trusty desktop and the right applications and software you can start to level the playing field with your competition. New technology has made it easier than ever before to reach your potential customers, process payments and run your day to day operation quickly and often with little or no extra cost. First of all you can quickly and easily do away with all of your bulky old filing cabinets, folders and mountains of paperwork instead opting for a simple portable hard drive or even a memory stick. Todays high end memory sticks can hold hundreds of giga-bytes of data allowing you to quickly access all of your business data from anywhere reducing storage space and making the whole process slicker and quicker. Consider moving your business to the cloud for office management tasks, many small businesses still juggle a combination of paper, spreadsheets and calendars to stay organised. This old system can present many issues, from searching through endless file cabinets for documents to making it more difficult to share information. 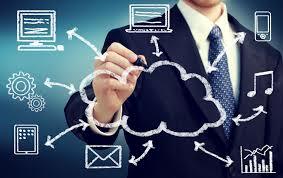 Using cloud services can help alleviate many of these hassles and is another way to bring your business up to date. There are lots of different cloud-based apps and tools that are designed to manage all sorts of different tasks such as signups, time tracking and billing, and many more. For example, app Front Desk can help you with customer management and scheduling. Apptivo is a collection of 40 apps that covers project management, customer management, time tracking, inventory and more. You can now use a tablet or smartphone, with the right apps, to replace traditional POS systems allowing you to accept more than cash. For example, you can use the tiny mobile Square card reader, from squareup.com, on your Android or iOS device to accept credit or debit cards quickly and simply. You can also cater to both online and physical shoppers using ecommerce platform Shopify’s POS. This allows you to sync up your online sales with sales made in a retail location. Offering a loyalty scheme or program is no longer something that only large chains or companies are doing. Considering that a repeat customer has a higher lifetime value than a new customer, promoting customer loyalty for your business can be very important. Small business owners can now use loyalty programs like Fivestars and Perka to offer a mobile based customer loyalty scheme for a very reasonable initial outlay. In the past accounting and HR software was expensive and required technical infrastructure, but today, business owners can take advantage of easy to use and easy to set up cloud applications to run efficiently with their limited resources. Startups have created useful tools that address specific needs, including Freshbooks for time tracking and accounting, Shifthub for employee management. By using marketing/sales plugins via a simple plug-in app, your business can turn their basic Gmail into something far different and useful. For example, using the Streak app from streak.com turns your basic Gmail account into a customer management tool, allowing you to track customers, leads and potential deals straight from your inbox. Rapportive is another highly useful and also easy to use plug-in which provides detailed profiles on each of your contacts. This is just a few examples of the many different ways that you can use new technology, apps, software and different plug-ins for your existing programs to really level the playing field with much bigger companies in your industry. Today’s smart small business owners are certainly taking advantage of these, and many more like them, to operate and grow their businesses and take the fight to their larger competition.